« Join us this coming weekend for our 3rd annual Glacier National Park glacier research project! All governments seek the same powers: total control of all money and property, omnipotent command over subjects, transparency and knowledge of all human activities (while keeping government affairs secret from view), and to kill all who resist. 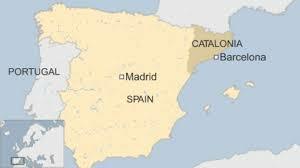 For years there has been a movement in Catalonia (a wealthy district of northeastern Spain culturally and geographically close to France) for independence from Spain. Recently, 700 Catalonian mayors voted to hold a referendum on the question of Catalonian separatism. The move enraged the powermad authorities in Madrid. Now Spain’s public prosecutor has ordered a criminal probe of the 700 Catalan mayors, threatening to arrest them all. Spanish rulers are seeking to prosecute the mayors for civil disobedience, misfeasance and misappropriation of public funds — the latter carrying jail sentences of up to eight years. See here.